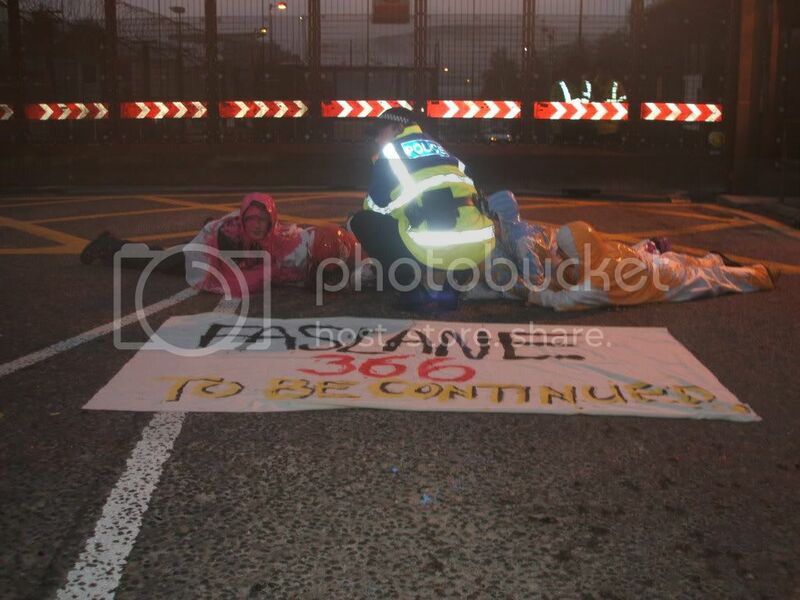 7 Protestors from Leeds, Bradford and York were this morning arrested after pouring paint over themselves and super gluing their hands together whilst lying in front of the gates of the base. The glue and paint were used in order to cause maximum delay to the operations of the base. Faslane is home to the fleet of submarines that carry Britain’s nuclear weapons system, Trident. The system consists of almost 200 nuclear warheads which can be launched from US Trident missiles. They are carried on four submarines and each individual warhead has about eight times the explosive power of the Hiroshima bomb.